Nearby Green Mansions Golf Club offers un-crowded tee times. A dozen more courses including the famous Sagamore Golf Club and Hiland Park are just minutes away. Try Tripp Lake for some real Adirondack fishing and canoeing. Adirondack hiking begins at Green Mansions and ends in the High Peaks of Lake Placid. Gore Mountain and Whiteface are close by, for a terrific Adirondack skiing adventure. For the ultimate Lake George area lodging, our Adirondack condos, townhouses and homes offer private ownership of splendid Adirondack real estate and luxury resort vacations. 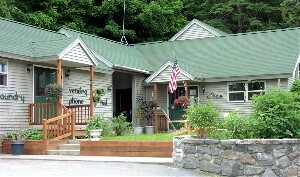 So, if you are looking for Lake George area Real Estate visit Green Mansions and start your family vacation tradition. For family summer vacation, a weekend getaway or designing your personal Adirondack lakefront vacation home, we invite you to join us in the best-kept secret in New York...Green Mansions. Our website has been designed to help you visualize our mountain retreat. And, since a picture is worth a 1000 words, our pages are filled with graphics and photographs. We appreciate your patience while pages are loading. If you have any problems or questions please PRESS HERE to contact our Webmaster.